Diwali Pujan (Laxami Puja) Shubh Muhurt– Diwali is the greatest festival for all Hindus.It is celebrated by most of the Indians. 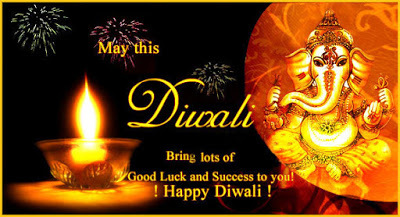 Diwali is also known as Deepavali. Diwali is called the festival of lights. Diwali represents the victory of truth over evil. We decorate our homes on diwali. This year we are celebrating Diwali on 30th October 2016 on Sunday. We make clean and decorate our homes and shops before Diwali. In the evening we do worship of Goddess Lakshmi where all the family members take part in Lakshmi puja. On Diwali so many e-commerce stores and shopping stores offer great shopping deals,coupons and discounts.Festival starts with Dhanteras followed by Naraka Chaturdasi on 2nd day, Diwali on 3rd Day, Goverdhan Puja on 4th day and ends on Bhai Dooj on 5th day. On the day of Diwali, people should get up early in the morning and pay tribute to their ancestors and worship family gods. Being Amavasya day, people also perform Shradh for their ancestors. Traditionally, most Puja are performed after keeping a day long fast. Hence, the devotees of Goddess Lakshmi observe a day long fast on the day of Lakshmi Puja. The fast is broken after Lakshmi Puja in the evening.